Who would let an oar float away without paddling anxiously after it? Kit Turner wondered as she fished the blade out of Lake Champlain. But in a little while, she came upon a drifting gray skiff and a handsome boy sprawled lazily and unconcernedly in the morning sun. 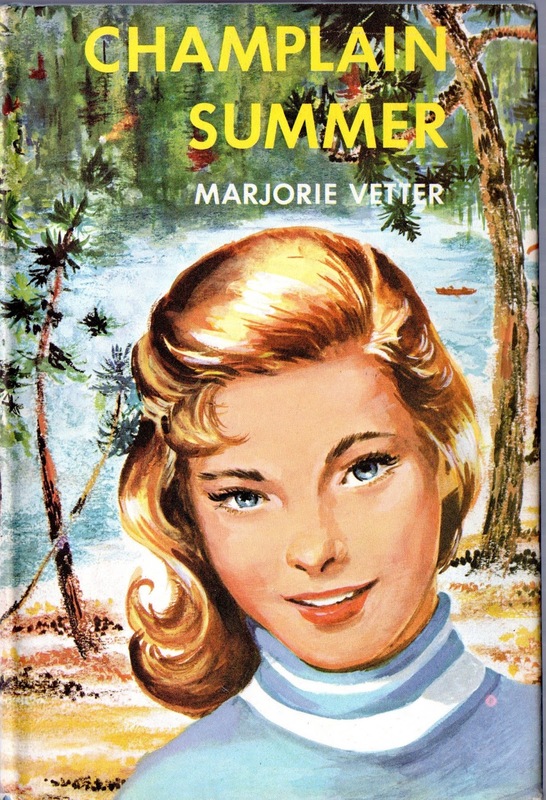 Kit, who only the week before had argued with her mother against buying a formal dress, who preferred sports to parties and dances, who disliked silly, "fluffy" girls like Elaine Lester, momentarily regretted her disheveled appearance. Bates Cunningham's poetic thanks for the returned oar made her aware, for the first time in her almost fifteen years, that perhaps it wasn't so foolish to take time to primp and fuss and be feminine. Of course, Elaine, her nearest neighbor, couldn't replace Marge and Babs, her sports-loving pals, and having regal Great-aunt Charlotte as house guest appalled Kit and made her feel uncomfortable. Summers at Lake Champlain had always thrilled Kit. She knew all its romantic history, from its early discovery to the days when Admiral Macdonough built the fleet that defeated the British in the war of 1812. Surprisingly, her fund of anecdotes about Vergennes, Vermont, the Turners' summer address, was just the key that gave her Bates' companionship. Kit's enthusiasm for the area charmed bates and he asked her to be his guide. It was great fun touring in his cream-colored Jaguar, rowing on the lake, and picnicking near historic sites. Kit realized that she was growing up--slowly. She began to look outside herself and try to understand others: her mother's loneliness when Mr. Turner had to be away on business trips; Great-aunt Charlotte's weaknesses; and even Elaine's good points. But it wasn't until a treacherous storm endangered Kit's life and the lives of others for whom she felt responsible that she really understood her own development into a young woman, and the ways and needs of other adults.